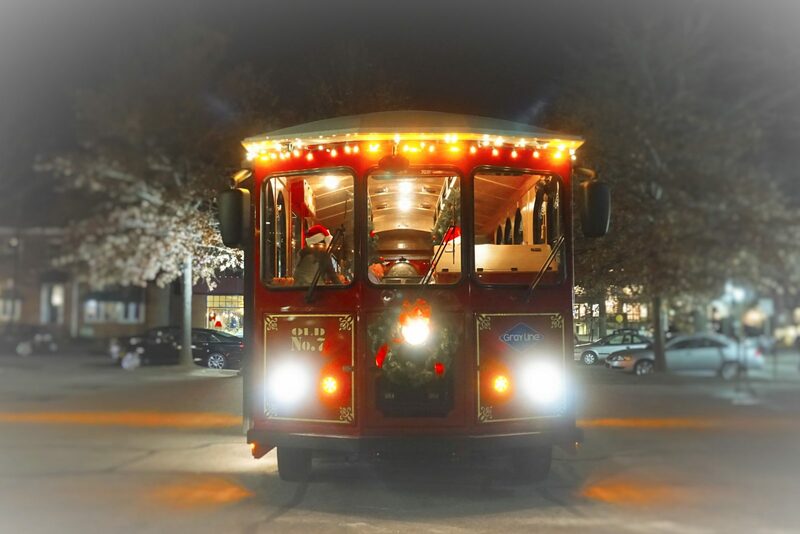 Hop on board the Holly Jolly Christmas Trolley for a fun and festive celebration of the season including live music and caroling! 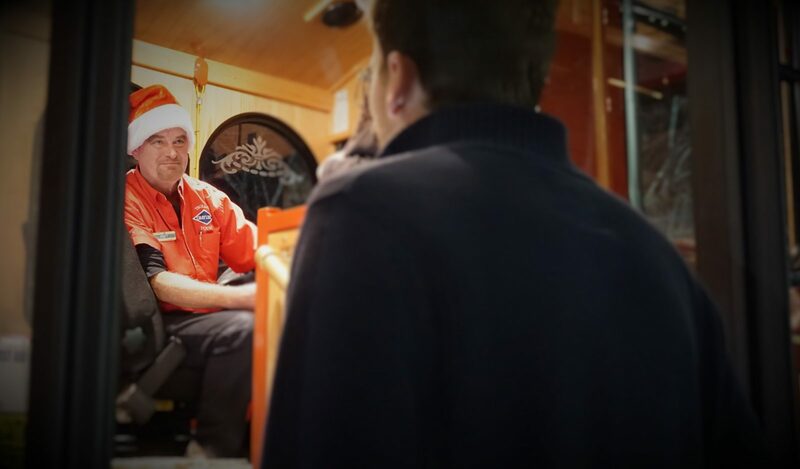 This seasonal favorite features an entertaining blend of holiday storytelling and traditional Christmas caroling. 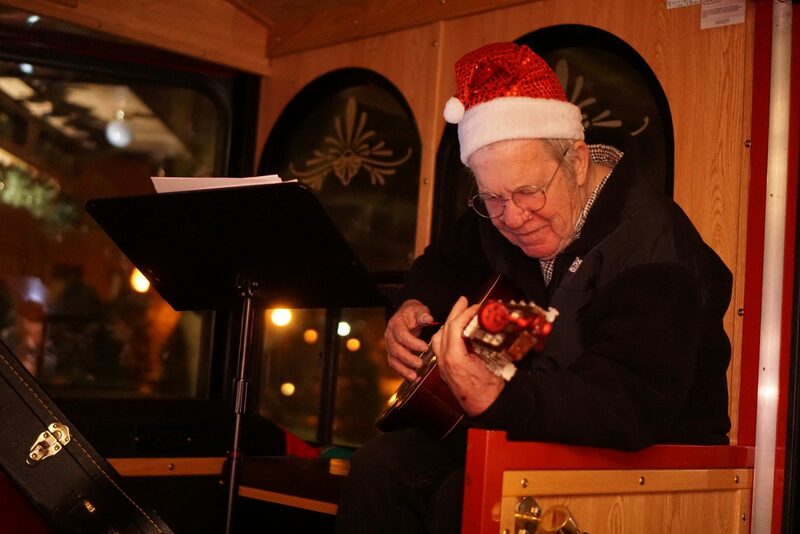 Enjoy stories of local lore and holiday traditions, then join-in with our on-board musician singing classic carols and songs of Christmas. 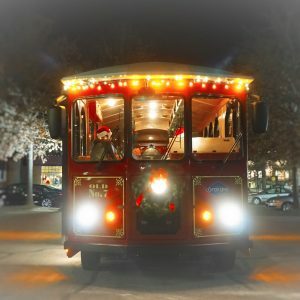 And all the while the Holly Jolly Trolley is rolling past festive holiday decorations in downtown Asheville, Biltmore Village and the Montford and Grove Park neighborhoods. 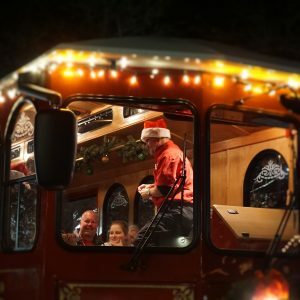 This has all the makings of a jolly good family tradition! 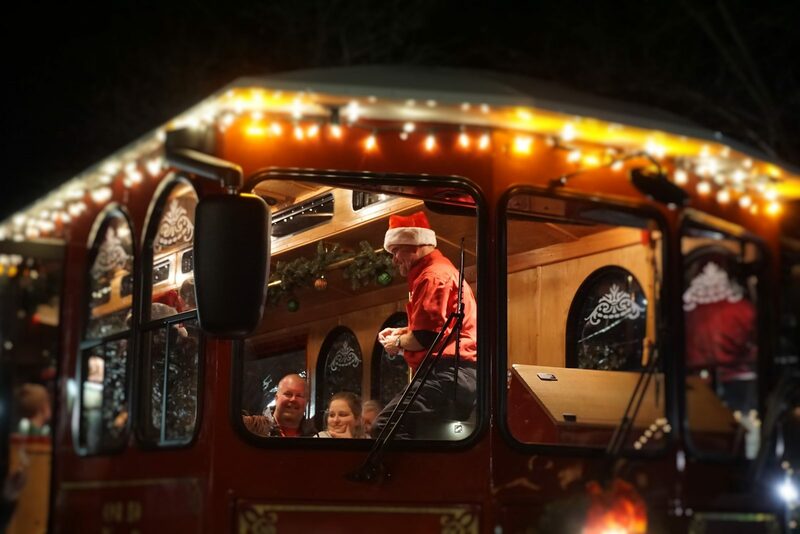 storytelling take center stage on the Holly Jolly Trolley. 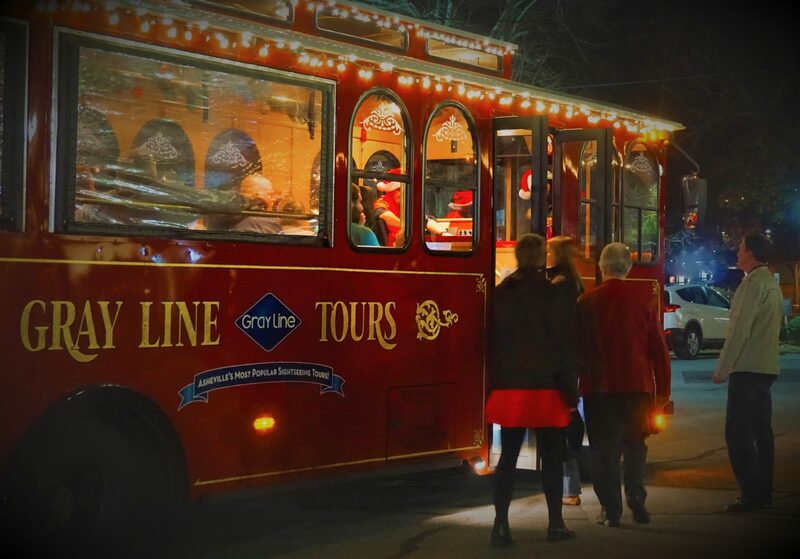 Trolleys are heated and enclosed with clear vinyl roll-down curtains. RESERVATIONS ARE REQUIRED! 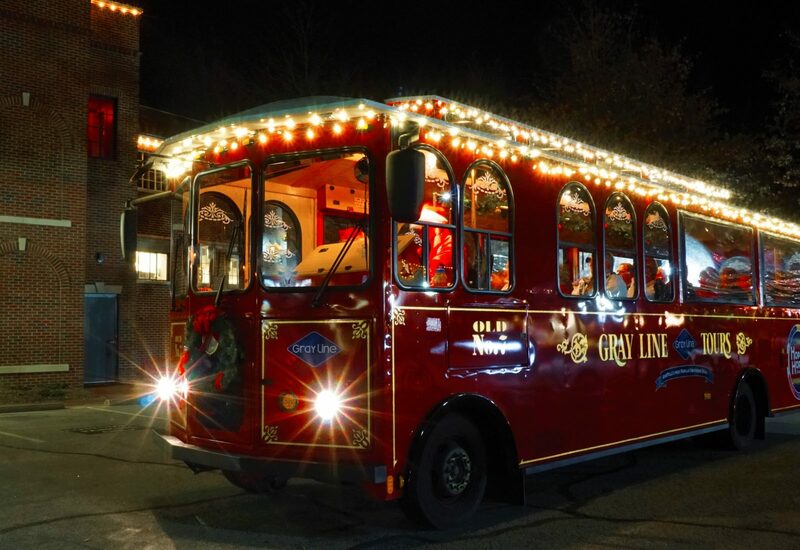 “Walk-ups” without reservations will be welcomed aboard on a space available basis. 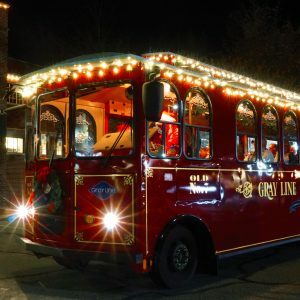 $5 off adult Holly Jolly Christmas Trolley Tour ticket with purchase of adult Hop-On/Hop-Off Tour ticket. . . .We loved this tour! 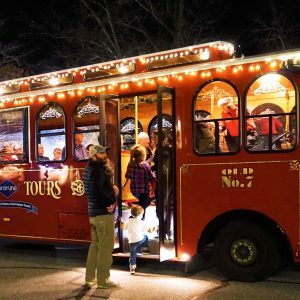 It combined the history of Asheville with the festivity of the Christmas season. 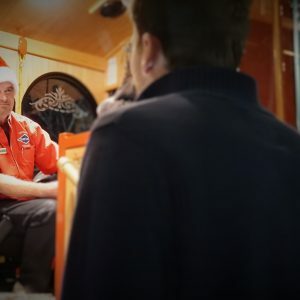 The whole experience really put me in the Christmas spirit! 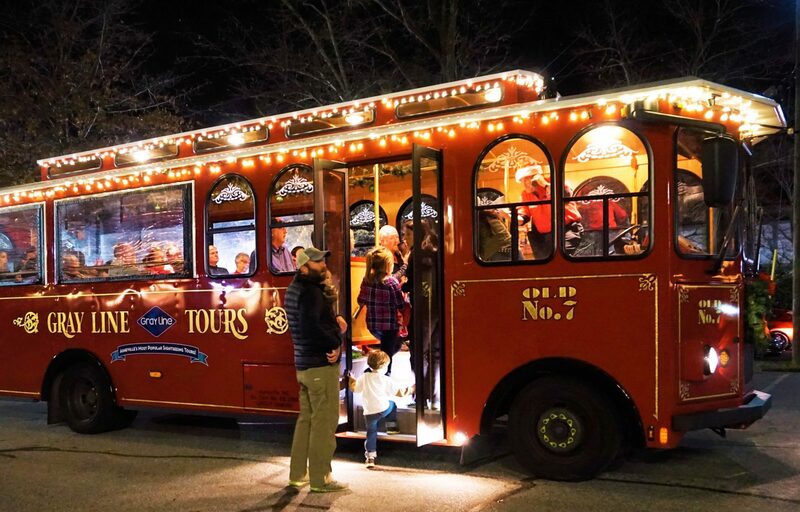 I am planning to do the tour again closer to Christmas when I am visiting with extended family. I know they will love it! 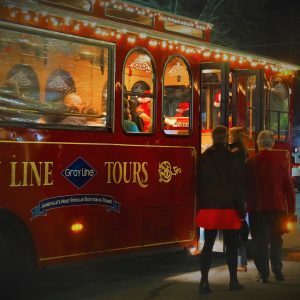 My local family was looking for something unique to do and discovered the caroling tour of Asheville. 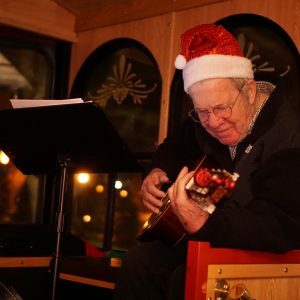 Our driver/guide gave us interesting stories of each district we visited and along the way we sang carols and secular songs accompanied by a guitarist...This was a great way to get in the holiday spirit! We enjoyed this tour very much! The guide was knowledgeable and humorous. The carol singing was a nice touch.